Well, September started out great with the Rock n Roll VA Beach race. You can see my race report for that here. The week after I didn’t run – My dad and stepmom were visiting over the weekend with Taylor and his cat and we had so much going on I felt like I needed a break. I also got a little behind on my allergy shots and had to get them multiple times during the week of the 5th making me tired and run down. I did, however, get to read and finish a great book. Surfacing by Siri Lindley was very inspiring and interesting. I had heard about her and her story and was interested to read her book. Her journey to triathlon and to her true self-was well written and very courageous. Triathlon is something I am a big fan and want to pursue after this year. Training for Dopey proved difficult enough for this year along with many health setbacks. Anyway – if you haven’t checked it out – give it a go! September I also spent some time looking at strength training programs to try and add some additional weight training to my already 3 times a week running. I created workout sheets that featured exercises from Don and Melanie Fink’s ultra-distance strength program along with some of my favorite exercises. I also was hoping to add in Body Flow – Yoga – Cycle or Swimming as I went. On the 12th I had my first run since the Virginia Beach Rock n Roll. it was slow and I was recovering from Charlie horses but it was good to run again. Lots of foam rolling. Wednesday I did a weight workout, Friday I ran three miles, Sat I walked 5.5 miles and started to feel an ear infection coming on. Feeling determined I busted out 15 miles on Sunday. 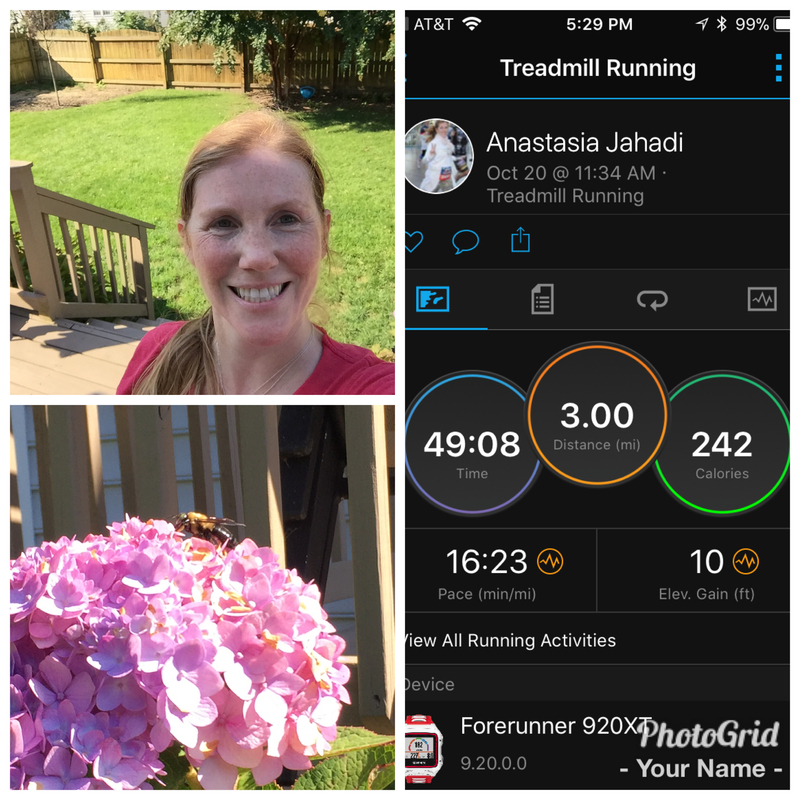 It was a great week of Running – I was really feeling like I was getting better. 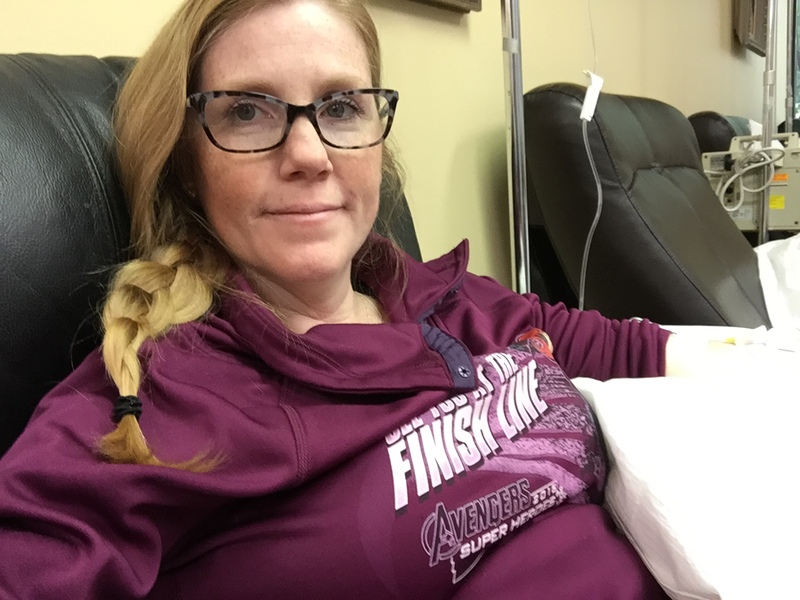 The 20th I had my IV treatment. I tried to run that morning but I just wasn’t feeling it. On the 24th instead of my run I went to the Parkinson’s walk in Washington DC. My close friend Suzi’s dad has Parkinson’s and I’ve wanted to go multiple years to support her and her family but there has always been kids baseball or some event. I did do the bleachers a few times and did the walk with everyone. It was a great event – totally well managed and they raised a good deal of money!. Finally on the 30th I was back on the road. It was a nice day – and Taylor was home. He had a cold but said he was going to be fine – so we headed out together and after 3.85 miles he was done. I felt bad for the kid took him home and finished my 17 miles on my treadmill. I love that treadmill. 17 Miles! My longest Run to date. YAY!!!! October was a little less great. I got an easy 2.5 miles in on Sunday the first and 3 miles on Thursday the 5th. I was definitely starting to feel just tired. On the 10th I thought som body flow would do a body good – missed my short runs that week but was able to push through 15 miles on the 14th. I was going for 20 but I couldn’t make it. My body was fighting me the whole run. Ugh it was so discouraging. 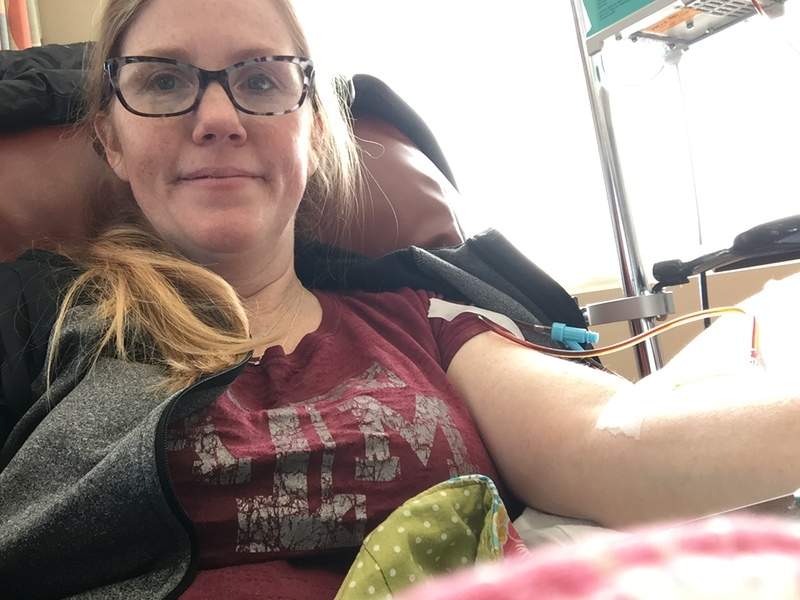 On the 18th I headed to my next IV treatment feeling really tired. I’ve been noticing a decline in my energy for sure – but then I have lupus – so you just never know when its business as usual or some new issue. On the 20th I was able to get out 3 miles and was so happy to be running. Feeling very behind on my training plan at this point. I mean I had a goal to be past 20 miles at this point and I wasn’t getting there. The stress about the Dopey challenge was definitely starting to build. However, it was October and my husband goes CRAZY for Halloween. He started creating our haunted house at the beginning of the month and the upcoming holiday was definitely lifting my spirits. My friends Angela and Blaise host the best Halloween party every year. 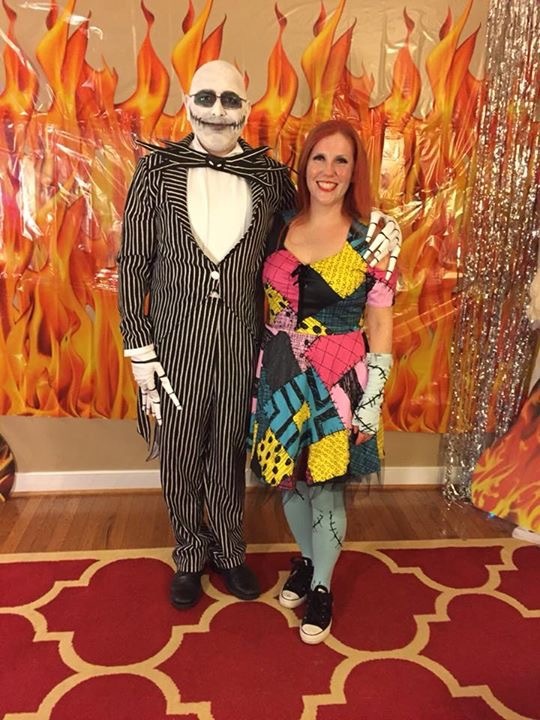 This year we went as Sally and Jack! What a blast! Halloween I didn’t get my run on but there was a lot of activities at my haunted house. 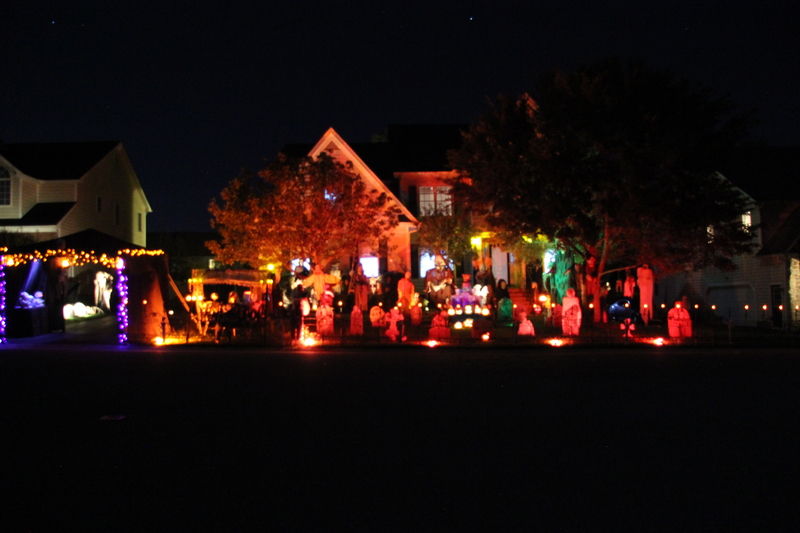 Over 1000 pieces of candy – hours and hours of trick or treaters and of course what comes up – must come down. Here’s a link to a video walkthrough of this years haunts. We started out November with a trip to Texas. It was so great to go, see an Aggie game, hang out with friends and decompress after Halloween. Lots of race talk and Disney talk. Our friends pictured here (minus Kam’s brother on the bottom right) were all headed to Disney with us for Race weekend. It’s coming so quickly! Back from the trip and no running. Energy is shot but learning that my body isn’t storing /absorbing iron anymore. My iron’s been low for a while now, but we had to try a few different supplements to determine if I was keeping what I was taking. Sure enough – I need iron infusions. 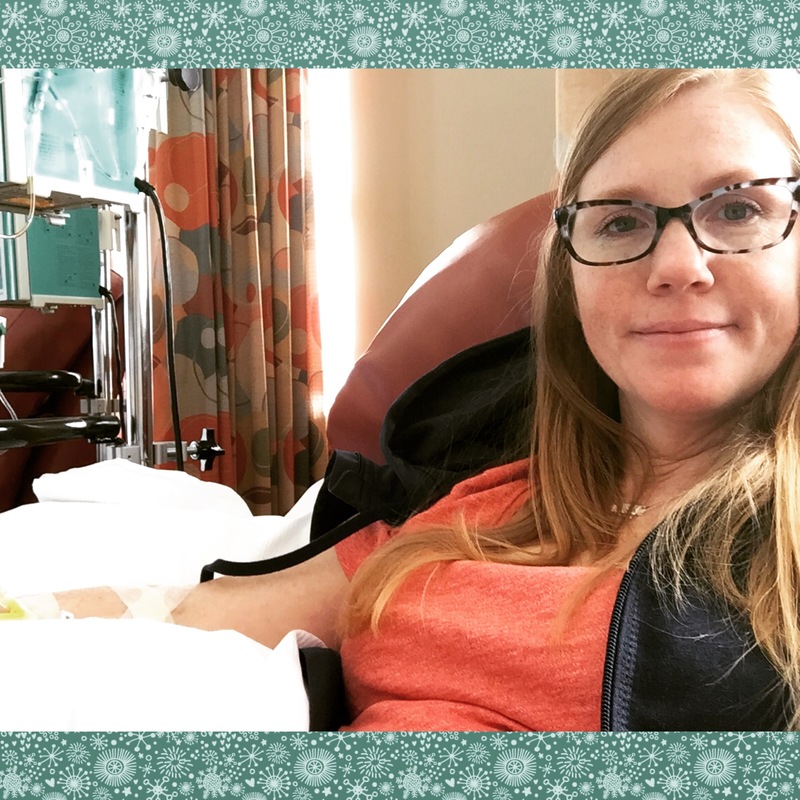 I had my Benlysta treatment on the 15th and scheduled my first iron infusion the 18th. I was really hoping to notice a boost. This is not a great time in my training to have my body give out on me. I mean January is coming FAST. 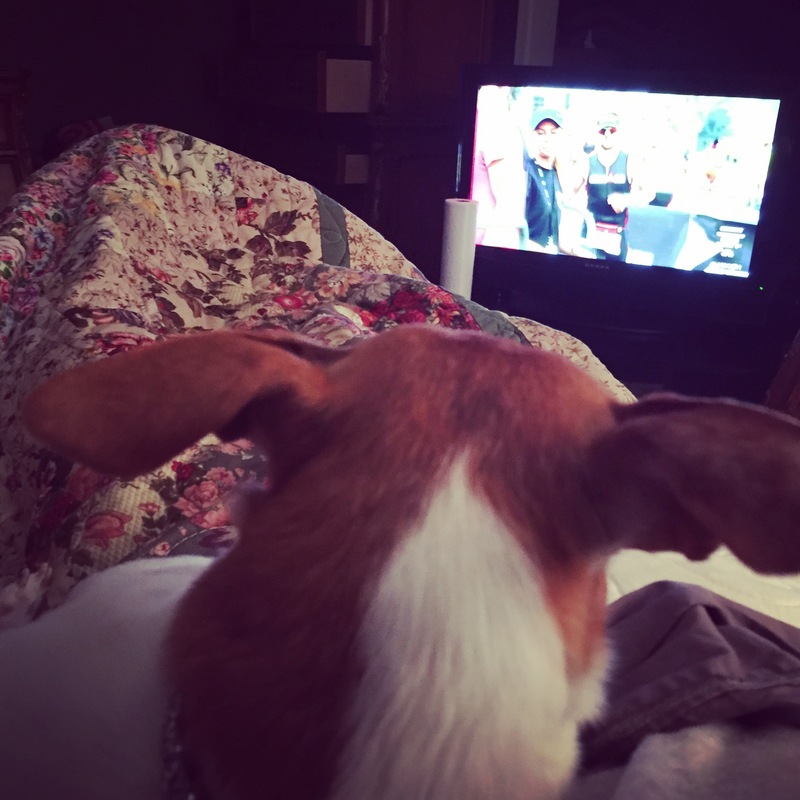 Trying not to freak out – I vowed to get a lot of rest – and maybe watch some triathlon. Iron does a body good right? Here goes nothing! Ugh I hope December goes better than November.